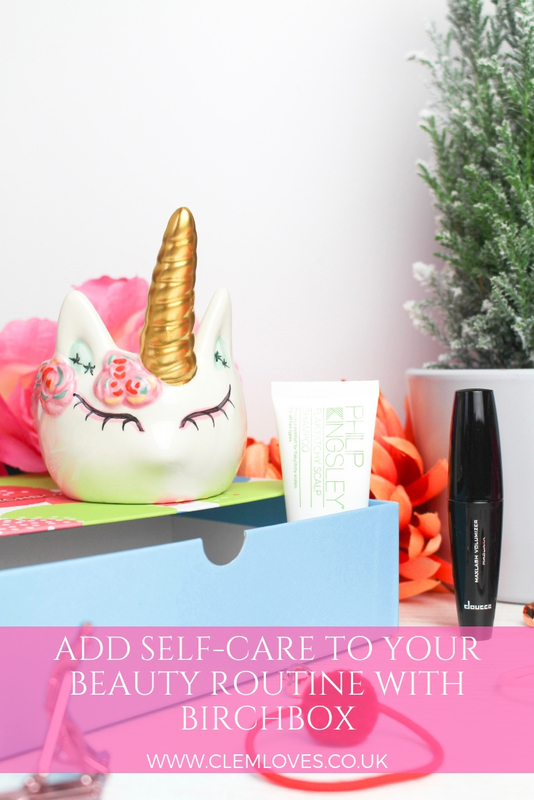 Here’s how I’m going to add self-care to my beauty routine with my Birchbox goodies! You may remember that last year I did a series of ‘What’s In My Birchbox’ posts, and I shared with you each month what was inside my box. Since opening my very first box, (which you can find here) i’ve been a big fan! But to me Birchbox isn’t just about receiving a box each month with new beauty products to use and try out, for me it’s about receiving beauty products that are tailored to my skin type and hair type, and it enables me to receive products that I know I’m really going to enjoy and that I can add to my self-care beauty routine. 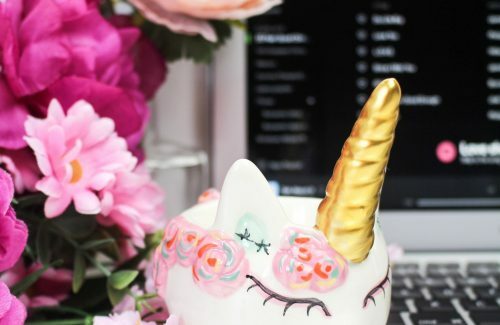 Self-care is about doing the things that will help to benefit our body and mind and taking time out during our day to relax and do the things we love. 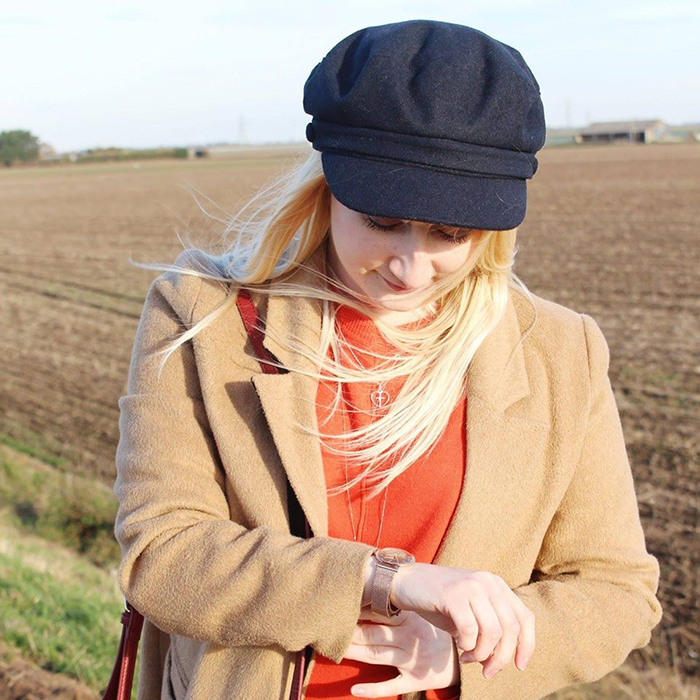 And as many of you may already know from previous posts, one of my favourite things to do in my self-care routine, is to have a pamper evening and help look after my skin, which in return helps to make me feel so much better. 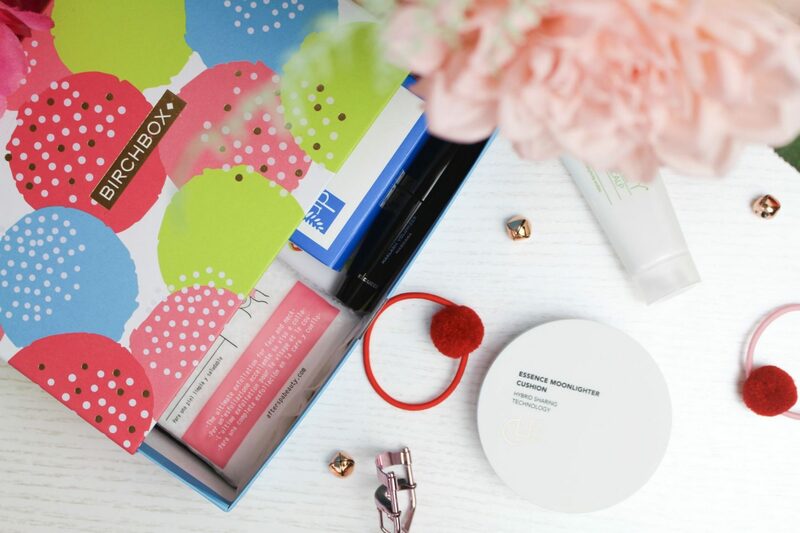 When subscribing to Birchbox for the very first time, you are asked a series of questions about your skin and hair type, so you are able to receive products each month that are perfect for you. I’m going to be sharing with you how I’m implementing each product into my self-care beauty routine! This month’s theme is ‘Shake Your Pom Poms’ helping to bring some cheer to the New Year! This box has definitely brought some cheer alright! 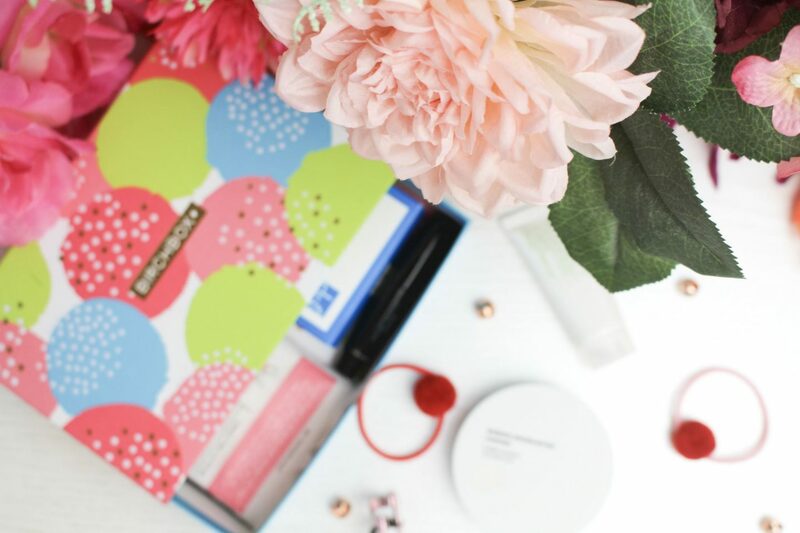 My favourite Birchbox designs are always the ones with the bright, vibrant colours on! First up in my box this month, is the CLE Cosmetics Essence Moonlighter in the shade Apricot Tinge. 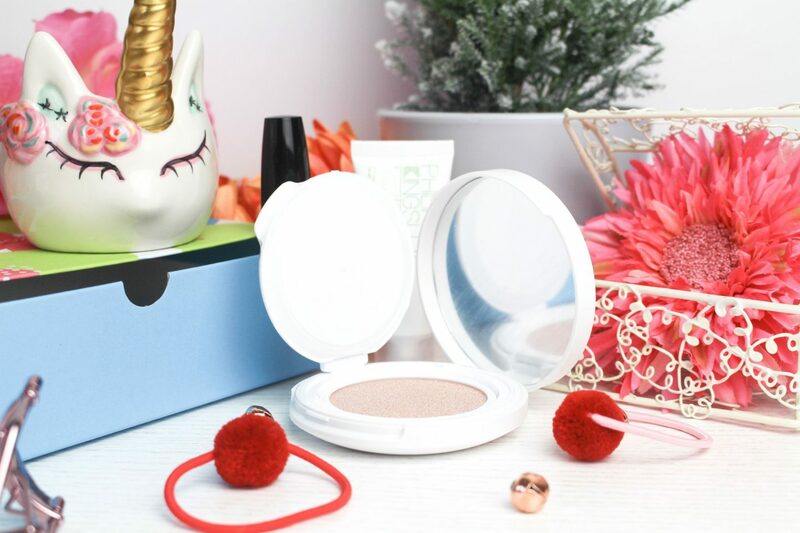 This gorgeous highlighter is infused with luminescent pearl powder. (How luxurious is that)!? 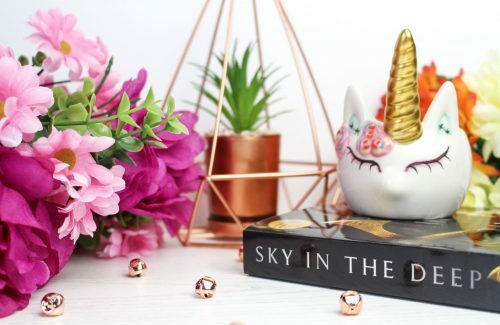 The highlighter gives a fabulous gleam to the skin (it really does) and it the perfect product to use to add that little something extra to your beauty routine. It also gives a cooling sensation to the skin when applied. 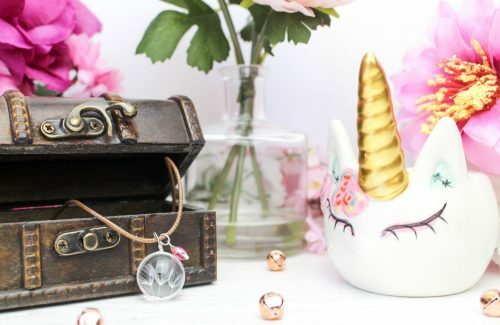 As you can see from the photo below it comes in a handbag friendly compact, with a mirror and application sponge inside. Or you can pop a little of the highlighter onto your fingers and apply straight to your cheekbones and brows! I do a love a good highlighter to finish off my make up look. A good highlighter definitely leaves me feeling good! Next up in my box is the Dr. Botanics Cleansing Bar in Cocoa and Coconut. 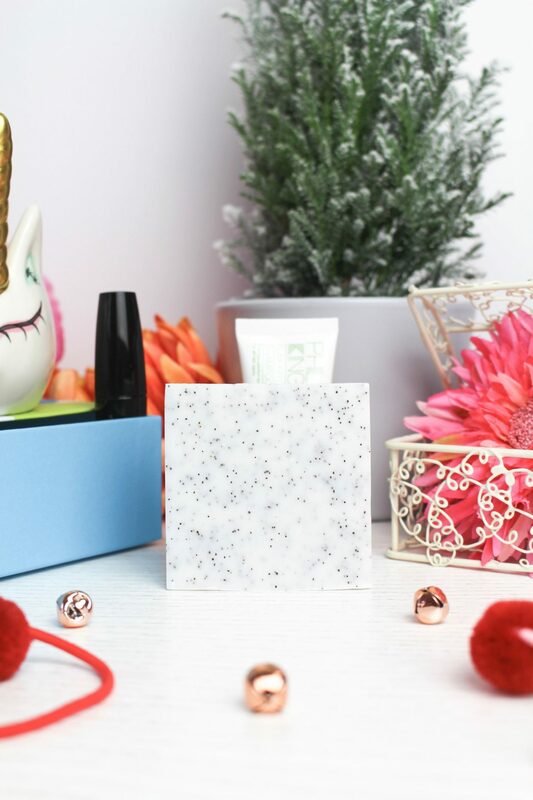 This cleansing bar is made up with 98% natural ingredients. It’s helps to cleanse, exfoliate and restore natural glow to the skin. You just lather the product up using your hands and massage it in and then rinse. 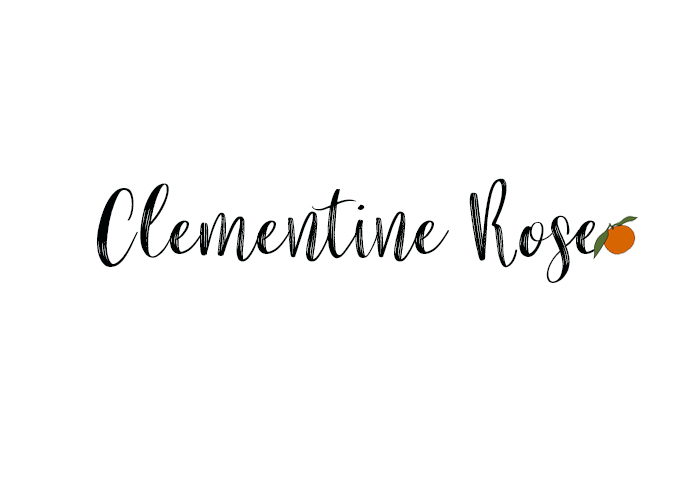 This bar doesn’t really have a scent to it to be honest, but thats one of the things I love about it, because as I have sensitive skin, some fragranced products can irritate my skin. It’s kind and gentle and full of goodness. The third product I got in this months box is the Philip Kingsley Flaky/Itchy Scalp Shampoo. As soon as I saw this product in my box, I did a little jump of joy! For quite some time now, my scalp has become itchy and it’s like I get dry skin on it too. Does anyone else get this? I haven’t actually used this shampoo yet, but I can’t wait to use it. The description says that it contains a soothing formula that gently cleanses the skin on your head, and leaves skin and hair soft and healthy. You just massage it straight in and then rinse it out! I’m going to be using this product during my self-care beauty routine, so I can take some extra time in the shower to relax and enjoy this shampoo. 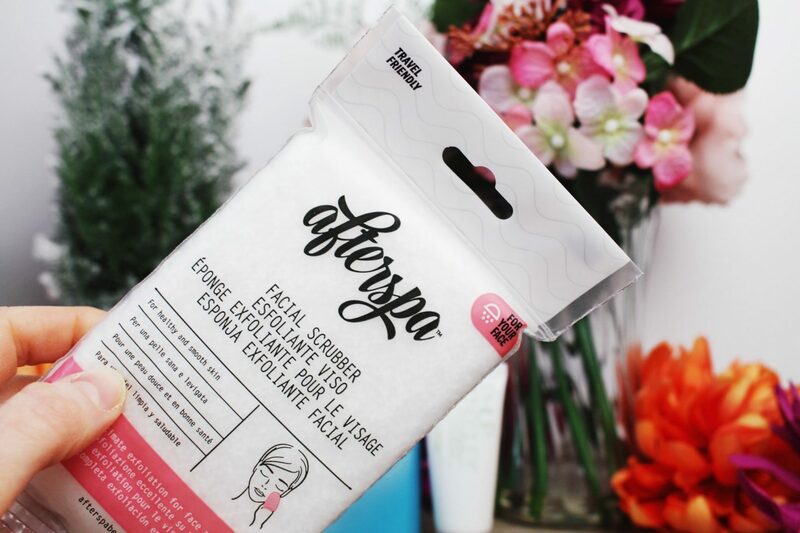 The fourth product in my box is the Afterspa Facial Micro Scrubber. I love getting things like this in my monthly birchbox. Ever since my friend got me something similar, i’ve been a huge fan! The dual-texture of this scrubber, helps to remove dirt, oil and impurities that hide away in your skin. You just simply apply you everyday cleanser and make sure that the scrubber is damp before using, and then work it over your skin. Then rinse your skin and gently pat your skin dry with a your towel. I love that feeling of soft, clean skin! Next up is the Doucce Maxlash Volumizer Mascara. I must admit, when choosing a mascara, I do love to go for one that gives max volume! 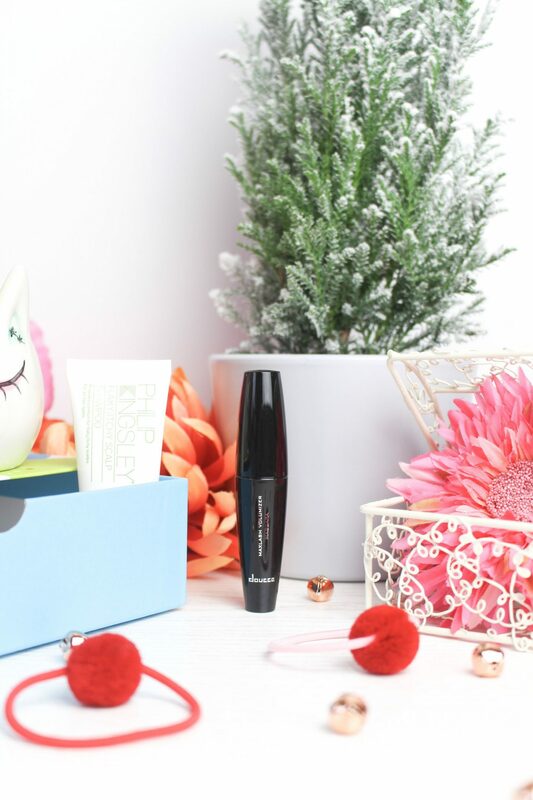 The applicator covers each lash with the carbon formula which adds depth and length to your lashes. When doing my make up routine, I love to apply mascara and then leave for a little bit and then go over them again with the applicator to give them that little extra definition. Combined with the highlighter above, these are the perfect pair to finish off any make up look and leave you feeling fab! 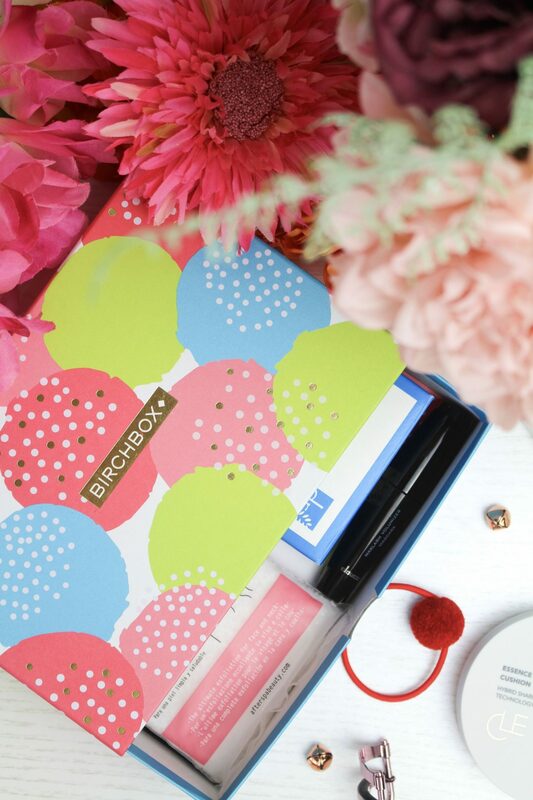 Now… This month Birchbox has included an extra goodie in everyone’s box! I got these adorable and cute Pom Pom Hair Ties, just like the design on this months box! These will definitely come in very handy for my self-care pamper evening to keep my hair out of my face whilst adding a super cute touch to my hair. They are giving me so much nostalgia as I loved wearing little hair ties like these in the 90’s! 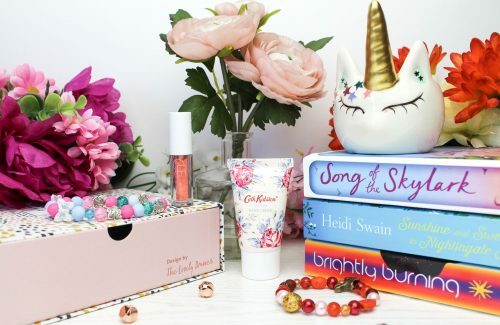 If you have often thought about subscribing to a monthly beauty box, then I’ve got the perfect treat for you… Click here to get £5 off your first order and add some fab products into your self-care beauty routine! Click here, here and here to see what I got in some of my boxes last year. And one of the best things is, is that if you stay a subscriber for 6 months, you become a VIP member! 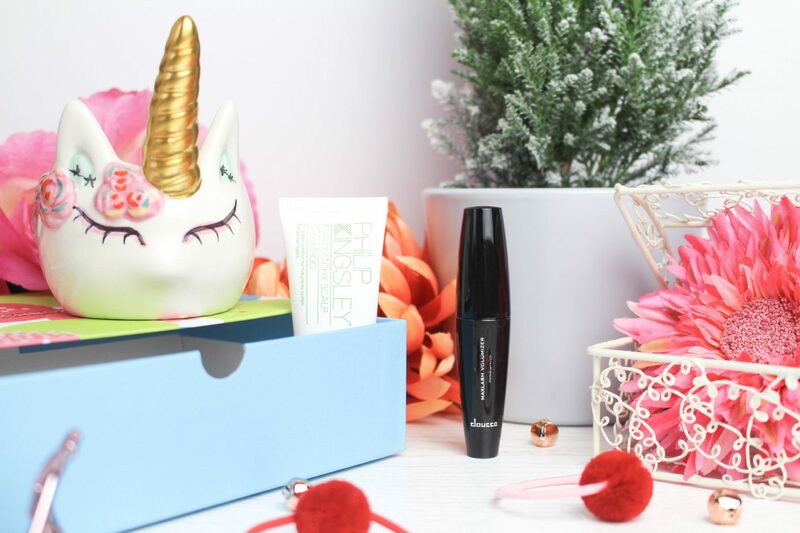 If you are subscribed to Birchbox, I would love to know what you got in your January box and which product you are looking forward to using the most? What products do you like to use in your self-care beauty routine?